1927 American La France Pumper, Kentfield Fire Protection District, story coming. Kentfield Fire District from Tom Forster on Vimeo. 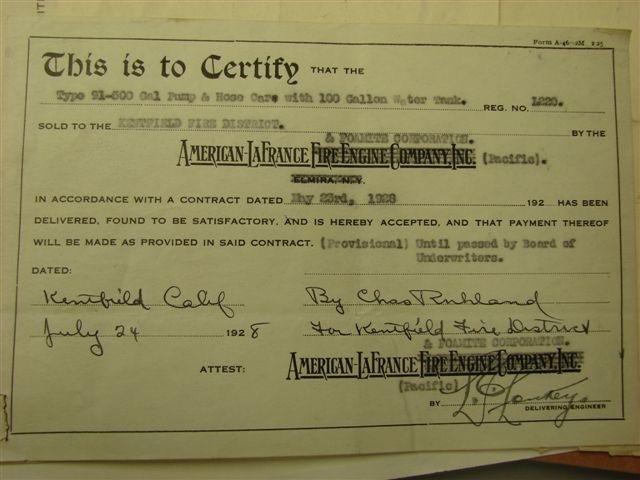 American La France was one of the oldest fire apparatus manufacturers in America, with roots going back into the 1830's. Sadly, after a series of ownership changes its doors were closed in 2014. There were many ALF engines in Marin County in the 1900's. Two are fully restored - learn about one of them here. Full story coming soon. Watch Kentfield Fire Chief Paul Smith share the history of their 1927 La France pumper in the video on the left. VIDEO by Dan White of Share-A-Vison and Retired Larkspur Chief William Lellis. 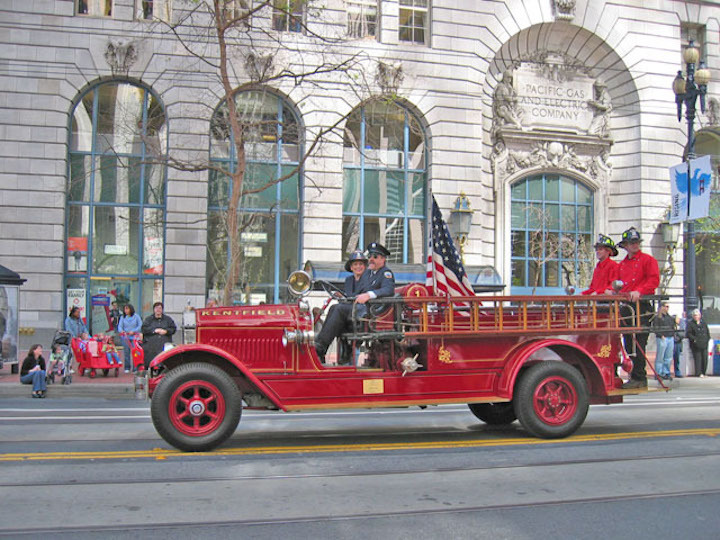 The La France in the San Francisco Earthquake Centennial Parade, April 18, 2006, photo courtesy Kentfield FPD. The delivery documentation from July of 1928.